Grow Your Knowledge. Grow Your Value. Where are you gaining the critical insights you need to help you be a better salesperson and a better leader? I’m constantly challenged to make sure each day I’m learning new insights and am connecting with people from whom I can genuinely learn! I rarely recommend specific websites in my blog, but I am today. www.Quotable.com is a site that just went live a few weeks ago and has already become a “go to” site for salespeople for key insights. 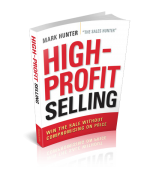 Quotable.com is a collection of articles written by sales experts, and when I say sales experts, I should really say sales gurus. What makes the site work is it’s fresh content that is all in short form, making it a fast read. Better yet, it’s broken into 3 main categories: Sales Management, Sales Professionals, and Sales Operations. Once you begin reading the content, you’ll realize why the site is called “quotable.” You soon will be quoting to others what you’re reading! I’ve found myself reading many of the articles and sharing them with others via Twitter. For me the value of the site is it allows me to continue growing, and in business, we all know what happens to the person who fails to grow. The edge we can have over everyone else is when our mind can process insights that allow us to engage more effectively with others. A challenge I make to audiences whenever I’m speaking is to make sure you learn something new each day that you can use the next day to make a positive impact. Check out Quotable.com I think you’ll agree with me about the great information on the site. Yes, I am honored to be a contributor to the site. In fact an article I have on the site right now is on whether a sales manager should ever save a deal. So be sure to check out www.Quotable.com today! You won’t regret investing in yourself!